ELK (Environmental Learning for Kids) is an inclusive non-profit organization that develops inspired and responsible leaders through science education and outdoor experiences for underserved, urban youth ages 5-25. ELK serves more than 5,000 underserved, urban youth each year through year-round intensive programs and in-school/after-school programs in Denver, Adams, and Arapahoe Counties. The Street Fraternity is a brotherhood of young men coming from disadvantaged situations to empower and grant these men tools to identify their opportunities, challenges, and goals. Many participants are former refugees from Bhutan/Nepal, Burma/Thailand, and countries of East, Central and West Africa. 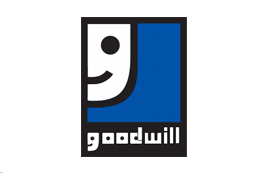 Goodwill Industries International enhances the dignity and quality of life of individuals, families and communities by eliminating barriers to opportunity and helping people in need reach their fullest potential through the power of work. Sky Blue Builders has teamed with Goodwill Industries to volunteer in various activities with from Mock Scholarship Interviews for High School students to mentoring and job shadowing.